The Supreme Court in Reliance General Insurance Co. Ltd. Vs. Shashi Sharma, has held that amount received or receivable by dependants of the deceased (who died in a motor accident) from the employer by way of ex gratia financial assistance on compassionate grounds can be deducted from the quantum of compensation fixed by the Motor Accident Claims Tribunal (MACT) under the head “pay and other allowances”. A three-judge Bench comprising Justice Ranjan Gogoi, Justice Prafulla C Pant and Justice AM Khanwilkar partly allowed an appeal against the Punjab and Haryana High Court judgment that held that the amount receivable by the dependants of the deceased under the Haryana Compassionate Assistance to dependants of the Deceased Government Employees Rules, 2006, cannot be deducted from the quantum of compensation fixed by the MACT. 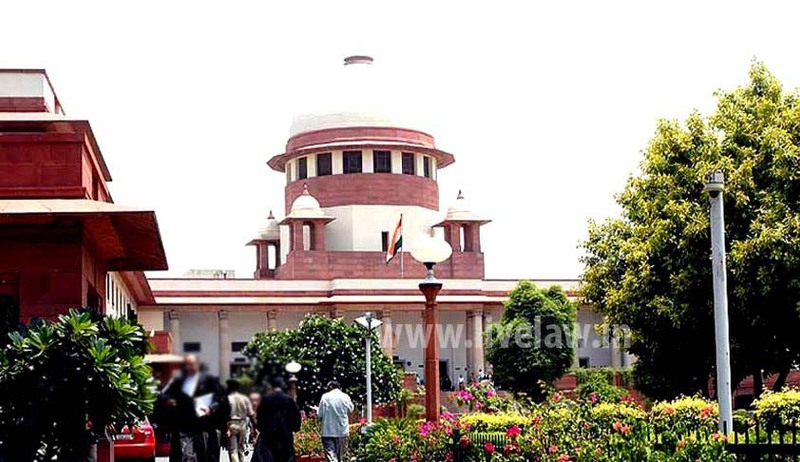 However the Bench clarified that claims towards loss of future escalation of income and other benefits, if the deceased government employee had survived the accident and other benefits extended to the dependants of the deceased government employee in terms of sub-rule (2) to sub-rule (5) of Rule 5, including family pension, life insurance, provident fund etc, must remain unaffected and cannot be allowed to be deducted. The MACT had held that since the Haryana Government had framed a policy, which was made applicable to the deceased employee, to benefit the family of the deceased employees for loss of salary for the remaining number of years of service, there was no monetary loss and awarded a compensation only for loss of consortium to the wife and for transportation and funeral expenses in addition to the interim compensation. On appeal by claimants, the Punjab and Haryana High Court referring to a judgment in Reliance General Insurance Company Ltd. vs. Purnima by a division bench of the high court held that the benefit of last wages to dependants cannot be a subject of deduction in the manner of determination of compensation arising out of a motor accident. Referring to the 2006 Rules, the apex court observed that Rule 5 broadly deals with two aspects of compensation to the dependants of deceased government employee. One is compensation by granting ex gratia financial assistance on compassionate grounds for the loss of pay and other allowances for a specified period and the other is compensation by way of allowances and concessions — of retaining occupation of the government residence on specified terms, of family pension and other allowances. With regard to the first aspect, the court observed: “If the dependants of the deceased employee, however, were to be compensated by the employer in that behalf, as is predicated by the Rules of 2006 - to grant compassionate assistance by way of ex gratia financial assistance on compassionate grounds to the dependants of the deceased government employee, who dies in harness, it is unfathomable that the dependants can still be permitted to claim the same amount as a possible or likely loss of income to be suffered by them to maintain a claim for compensation under the Act of 1988.” As regards the second part, the court held that since it deals with income from other source, which any way is receivable by the dependants of the deceased government employee, it cannot be deducted from the claims amount, for determination of a just compensation under the Motor Vehicles Act, 1988.